I do solemnly swear (or affirm) that I will conduct myself as an attorney or counselor of this Court truly and honestly, justly and uprightly, and according to law; and that I will support the Constitution of the State of Georgia and the Constitution of the United States. So help me God. The fee for admission is $30, payable to the Clerk of the Court of Appeals of Georgia, who shall issue a license under the seal of the Court as evidence of the applicant’s authority to practice. (c) Appearance Pro Hac Vice/Courtesy Appearance. 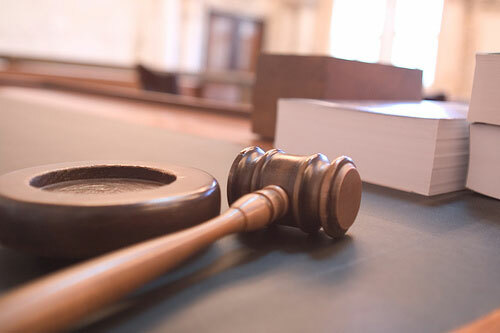 An out-of-state attorney desiring to appear in this Court in a single case shall file an application for admission pro hac vice before making an appearance. (iii) the name of the party or parties sought to be represented. The application may be made by the attorney requesting pro hac vice appearance or a member of the Bar of this Court on behalf of the out-of-state attorney. Persons seeking to represent an indigent party may qualify for a waiver of the fee, if counsel files a statement with the application that counsel is representing the client pro bono due to indigency. The Court will provide electronic filing access to attorneys granted pro hac vice admission. Attorneys granted this status are required to register in the Court’s eFast system and to comply with all eFast rules and requirements. (d) Withdrawal or Substitution of Counsel. Any withdrawal or substitution of attorneys of record in the Court shall be communicated to the Court by written motion with a copy to substituted counsel, opposing counsel, and the withdrawing or substituting attorney’s client. A motion to withdraw as counsel shall contain the address of the withdrawing counsel’s client, or if the address is unknown, the motion shall contain the client’s last known address and a statement that the client’s current address is unknown. (e) Change of Address, Telephone Number, or Email Address. Any change of address, telephone number, or email address must be made by the attorney in the Court’s eFast system. Attorneys are personally responsible for ensuring that their eFast profile information is up to date. The Court will not make these changes. Attorneys are encouraged to register an additional “CC” email address for their administrative assistant or another point of contact. See Rule 46, Electronic Filing of Documents. If a paper filer (non-efiler) for either party has a change of address or telephone number during the pendency of any appeal or application, counsel shall file a notification of change of address, telephone number, or email address with the Court, notifying the Court of counsel’s correct address, telephone number, or email address, and the effective date of the change. The notification of change of address, telephone number, or email address shall be filed as a separate document with service made to opposing counsel. Upon receipt of the notification of change of address, telephone number, or email address from a paper filer, the Clerk will enter the change of address, telephone number, or email address on the Court’s docket, and all further notices generated from the Court shall be to counsel’s new address. Failure of a party to properly notify the Court of any change of address, telephone number, or email address, which may result in a party not receiving notification of Court action, shall not be grounds to reinstate or reconsider any matter adverse to the party. The Court of Appeals does not recognize or grant leaves of court or leaves of absence. Rule 10. Personal Remarks; Opposing Counsel or Judge. Personal remarks that are discourteous or disparaging to any judge, opposing counsel, or any court, whether oral or written, are strictly forbidden.